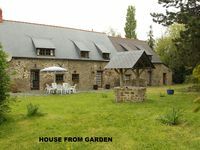 Property 8: Lovely Gite in Beautiful Quiet Rural Setting. Property 19: Beautiful country house for big family! Property 21: Superb, comfortable gites. - 2 Gites. Le Rodin and Cezanne. Sleeps 4&4. PRICES QUOTED ARE PER GITE. Property 27: Three bedroom Longere family friendly or perfect for a quiet getaway. Property 28: Fully furnished, comfortable country house with large garden and stunning views. 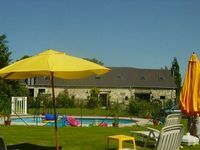 Property 29: Cottage with Private indoor heated pool. .
Property 31: In the heart of the Alpes mancelles! Barn Conversion 300 Years Old, Full Of Character With Country Views. Property 34: Barn Conversion 300 Years Old, Full Of Character With Country Views. Property 36: House in the countryside with heated indoor pool. Property 39: Artist's Home in a 'Plus Beaux Village'. '.